New York improved to 47-21-7 (101 pts.) overall, including a 21-11-5 mark on the road. The Rangers increased their lead over Pittsburgh atop the Eastern Conference standings to three points, and now rank first in the league overall with 101 points. With the win, the Rangers eclipsed the 100-point mark for the seventh time in team history, and the first time since registering 100 points in 2005-06. The Blueshirts’ 101 points are the most the team has posted since winning the Presidents’ Trophy in 1993-94 with 112 points. The Rangers’ 47 wins are also tied as the fifth most in franchise history. New York has posted a combined record of 17-4-5 in back-to-back games this season, including a 9-2-2 (6-0-0 at home, 3-2-2 on the road) mark in the second game. Since 2009-10, New York is 30-10-4 in the second game of back-to-backs, with a 15-7-3 mark on the road over the span. The Rangers’ penalty kill has held opponents scoreless in 10 of the last 13 games (33-36, 91.7%), and are 38-42 (90.5%) in the last 15 contests. The Blueshirts were credited with a season-high, 55 hits, led by Derek Stepan and Ryan Callahan who registered six hits apiece. The Rangers also recorded 20 blocked shots in the contest, including a game-high, four blocked shots from Michael Del Zotto. Marian Gaborik notched two goals, tied for the game-high with five shots, and was credited with four hits and two blocked shots in 21:07 of ice time. He leads the Rangers in scoring against Original Six opponents this season with six goals and 11 points. Brad Richards tallied two assists and converted his shootout attempt in 22:13 of ice time. He has now tallied 19 points (six goals, 13 assists) in the last 16 games , including 14 points (six goals, eight assists) in the last 10 games. Richards leads the NHL in scoring during the month of March with 17 points (six goals, 11 assists). Henrik Lundqvist made 22 saves through regulation and overtime, and stopped two of three shootout attempts to improve to 35-16-5 overall with a 15-8-3 mark on the road. Lundqvist has now started on consecutive days 58 times in his career, posting a record of 37-14-7 with a 1.84 GAA, .934 Sv% and six shutouts in the second game. Brandon Dubinsky notched a goal and registered four shots on goal and three hits in the contest. He has recorded four points (two goals, two assists) in the last four games. Tim Erixon recorded an assist and was credited with three hits in 9:41 of ice time. He has tallied two assists in the last two games. John Mitchell registered the lone assist on Dubinsky’s second period goal, and has now recorded an assist in each of the last two road games. The Rangers will return to action when they face-off against the Minnesota Wild on Tuesday, Mar. 27, at Xcel Energy Center (8:00 p.m.), to begin a back-to-back road set. The game will be televised live on MSG Network and can be heard on 1050 ESPN Radio. 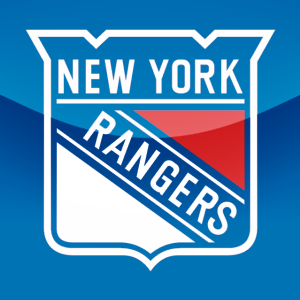 This entry was posted in Hockey, New York Rangers, NHL, Sports and tagged Blueshirt, Brad Richards, Brandon Dubinsky, Henrik Lundqvist, Marian Gaborik, Michael Del Zotto, New York, New York Ranger, New York Rangers, Ranger, Ryan Callahan, Toronto Maple Leafs. Bookmark the permalink.